← End of October Update . . .
Christian Schmidt, Transport Planning and Policy Officer at Monmouthshire County Council (MCC), has recently submitted an application to Welsh Government (WG) to fund the remaining work on ‘GRIP 3’ for the station, from the Local Transport Fund. We are awaiting a decision on that. On the 12th of November, Ted Hand, Christian and I met James Price (CEO of Transport for Wales) at his Cardiff office. We have met James on a couple of occasions previously and he has always been supportive of our aims. This occasion was no exception. 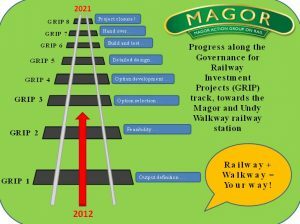 Whilst we all recognised that there were still challenges ahead for ‘Magor & Undy Walkway’, much would depend on winning the GRIP 3 money from WG and establishing what capacity the mainline rail corridor has to take on new stations and increased services. James agreed to raise with WG the possibility of getting some tactical work done to establish the latter. We all took away some actions to keep the momentum going and we came away feeling it had been a very positive and productive meeting. 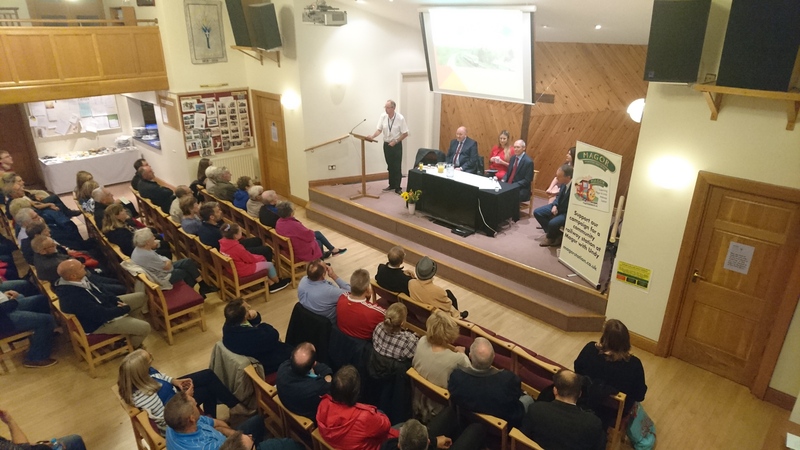 On the 27th November, Peter Wilson, Ted and I were invited to participate in a workshop run by Wales Audit Office to explore how MCC has been involved in developing a range of options to improve transport in the county and how we are jointly working in accordance with the well-being of Future Generations Act. We were able to input into the study using both the Magor & Undy Walkway station and the Magor & Undy Community Hub projects as exemplars. It was recognised that the 2 projects provide a whole range of benefits for future generations such as; the ability to travel to and from employment and education in a more sustainable and ‘active travel’ way, reduction in pollution, a facility for fitness, wellbeing and social inclusion. A full report will be produced and be accessible from this site in due course. Finally, don’t forget the Frost Fayre on the 8th December. We will have our usual stall and raffle and look forward to chatting to you about progress with the campaign.